Before slicing the lemon or lime, microwave the fruit on high for 20-30 seconds or until warm. As the microwave heats the fruit from the inside out, the juice capsules burst within the fruit. Once the fruit has cooled enough to handle (about 30 seconds), slice it open and juice as normal. Because many of the juice capsules will have already burst, much less effort is needed to extract the juice. 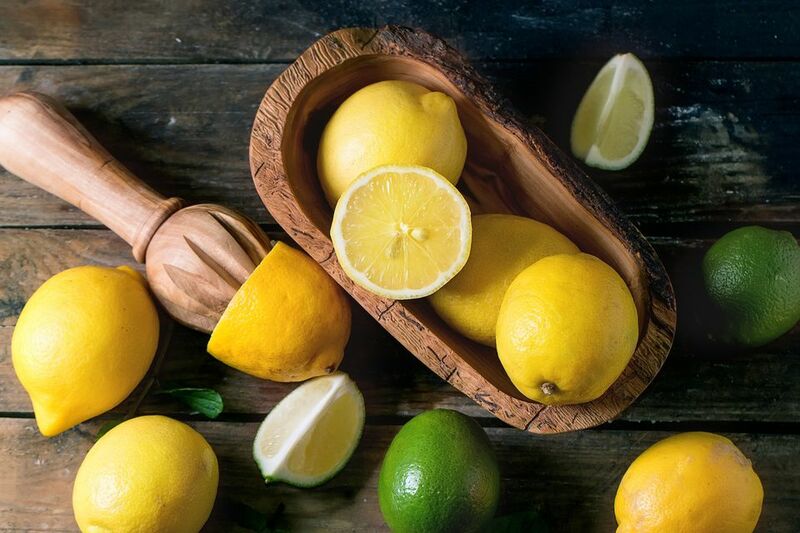 Roll the lemon or lime on the countertop while applying gentle pressure. This will also break open the juice capsules, making it easier to extract juice after being cut open.